Gorgeously incredible vocals. Junsu sings wonderful duets. Lyn’s vocals are also exquisite. 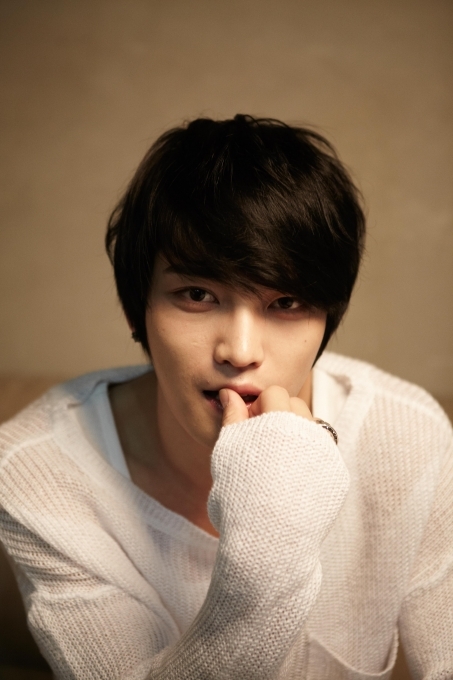 Kim Jaejoong has chosen ‘Just Another Girl’ as the title song of his first full-length solo album. Kim Jaejoong’s first full-length solo album ‘WWW: Who, When, Why’ will feature a variety of rock genres including post-grunge rock, pop punk, Brit-pop and ballads, and is already garnering a great deal of attention for featuring collaborations with Yoon Do Hyun, Glay’s Takuro, Noeul’s Lee Sang Gon, Ha Dong Gyun and Yong Joon Hyung. Kim Jaejoong’s pre-released track ‘Sunny Day’ has already topped charts in four foreign countries, as well as the domestic charts, and the singer plans to released ‘Butterfly’ on the 23rd as his second pre-released track. He will then release his album on the 29th and will hold the first leg of his ’2013 Kim Jaejoong 1st Album Asia Tour Concert’ on the 2nd and 3rd of November at COEX. JYJ’s Kim Jaejoong is set to release another track ahead of his first full-length solo album. According to C-JeS Entertainment, Kim Jaejoong will be releasing a song with an intense rock spirit on the 23rd. ‘Butterfly’, the second pre-released track of Kim Jaejoong’s album, will be a rock song with a strong beat and a melody line that is easy to sing along to. 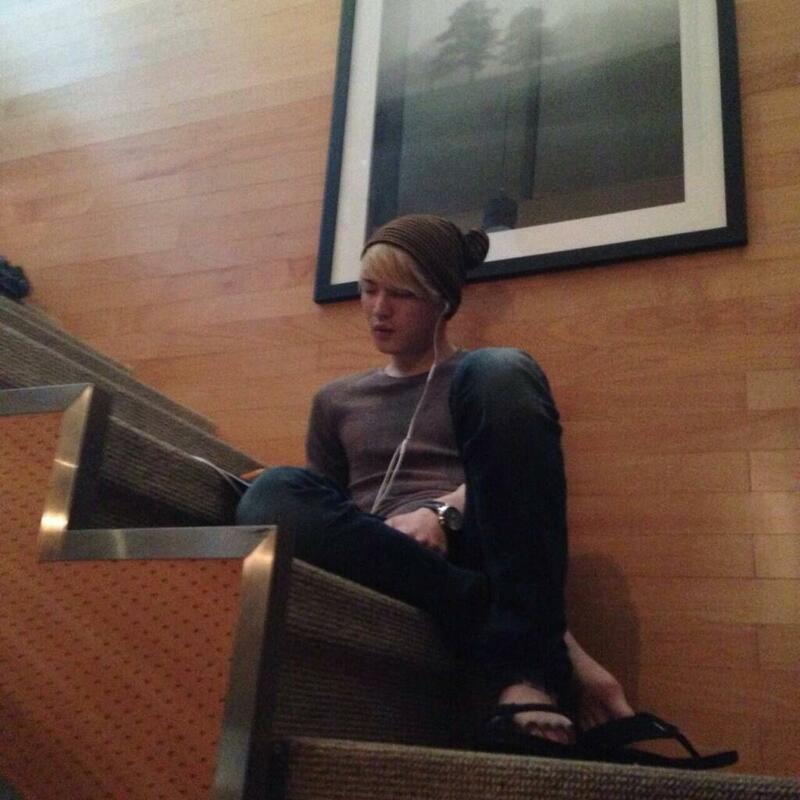 Kim Jaejoong wrote the lyrics to the song himself and has incorporated restrained yet paradoxical expressions to heighten the experience. ‘Sunny Day’, the first pre-released track of Kim Jaejoong’s first full-length album, was released on the 15th and topped charts in four countries, including the iTunes singles chart in Japan. Many are excited to see what ‘Butterfly’ will sound like. Kim Jaejoong will release ‘Butterfly’ on the 23rd and his first solo album ‘WWW: Who, When, Why’ will be released on the 29th. [Official] Jaejoong will pre-release a track on 15th at noon (Korea time).It will be released through iTunes and music websites. It’s coming really soon!! Keep your eyes on!! JYJ’s Kim Junsu released his new ballad ’11 o’clock, its adequacy’, which is garnering attention for successfully ranking high on various music charts. Taking into consideration the fact that most male idol singers don’t do very well on online music charts, his feat of ranking high on various music charts with a ballad is extremely rare, and raises the anticipation for this second solo album. ’11 o’clock, its adequacy’ was released at noon on the 2nd and secured a spot in the top 5 rankings on Melon and Bugs today. What’s most surprising is that he was able to rank high with a ballad when hip-hop is the current craze with the return of Dynamic Duo. Even his agency was extremely surprised by the results. They decided to push a ballad to showcase Kim Junsu’s vocal tone, but didn’t know that it would do so well on music charts, especially considering the fact that it wasn’t a OST buoyed by its drama. Many are surprised to see a ballad in the top 10 rankings these days. 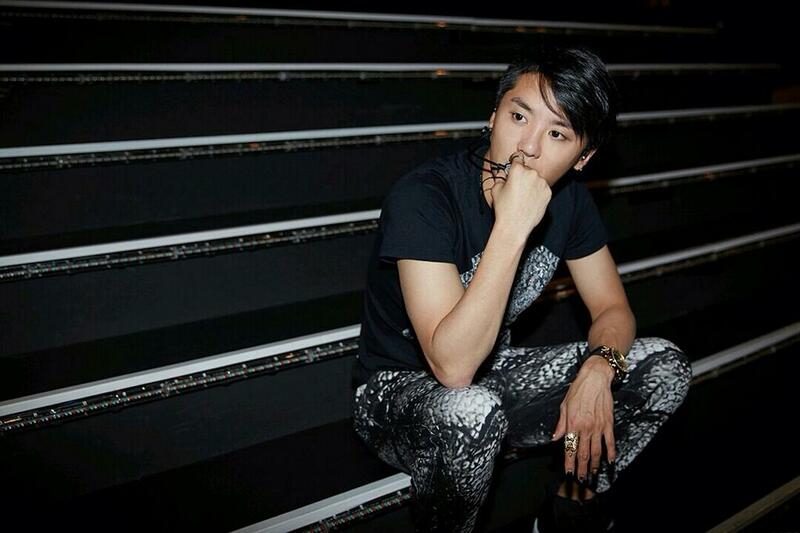 This has increased the anticipation for Kim Junsu’s second solo album, which is set to be released on the 15th. His first solo album’s ‘Tarantallegra’ was not very approachable to the public, but this album has shifted a stronger focus on this aspect. Considering the fact that the title song’s genre has incorporated an element of hip-hop, which is snapping up top positions on music charts these days, the song is expected to be loved by fans and the public alike. With the number of acts who succeed without appearing on any broadcasted programs increasing, Junsu is ready to kick off his album and Asia Tour. ’11 o’clock, its adequacy’ is a song that expresses the sorrows of a man after a break up. The piano instrumental accentuates the emotions of Kim Junsu’s vocals and adds a dramatic element to the song, with a four seasons theme. 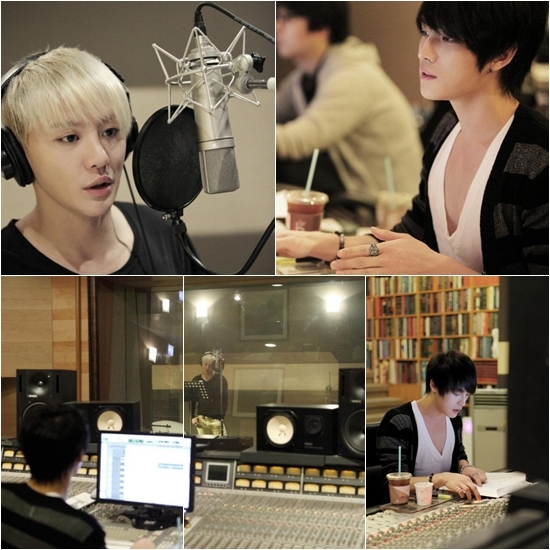 Kim Junsu recorded the whole song in one take and used only acoustic instruments to accentuate his charming tone. The special a cappella clip that was released on the same day as the music file has also garnered much attention for being filmed live in one take. XIA (Kim Junsu) recently revealed a never-before-seen photo. At noon on the 2nd of July, JYJ’s Kim Junsu released the live music video of his pre-released track ’11 o’clock, its adequacy’. He also released a photo from his music video that had never been seen before. 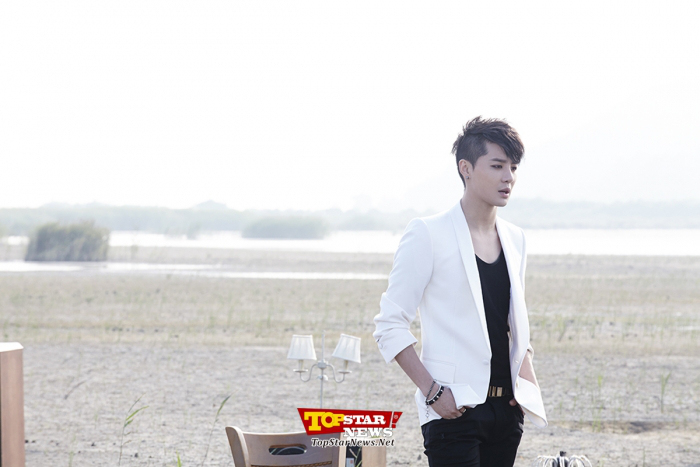 The photo shows Kim Junsu standing alone in a field with a longing expression on his face. He is drawing attention from many for his perfect portrayal of the man in the lyrics of ’11 o’clock, its adequacy’. According to a LoenTV representative, the music video was filmed in one take to portray the lonely emotions and vocal tone of Kim Junsu’s voice. His melodious voice mixes with the sound of birds and the wind to create a dreamlike atmosphere. Meanwhile, Kim Junsu will be releasing his second solo album on the 15th of July and holding a showcase to commemorate its release. “Code Name : Jackal” (Original title : Jackal is Coming) the movie starring JYJ member Jaejoong in his first lead role on the big screen that has everyone talking, will be released in Japan nationwide on 3 May 2013. So far, Jaejoong has been active as in artist who enjoys overwhelming popularity not only in Japan but all over the world, and has also participated in the Japanese drama “Sunao Ni Narenakute” together with Eita and Ueno Juri, the telemovie “Postman to Heaven” featuring screenplay by Kitagawa Eriko, as well as various Korean dramas such as “Protect the Boss”, receiving great praise for his acting skills. In “Code Name : Jackal,” he broadens his original scope of acting by attempting wire-stunts that stretch the body’s limits and taking on a completely different “broken” role. When the movie was released in Korea, it became a hot topic even in Japan. 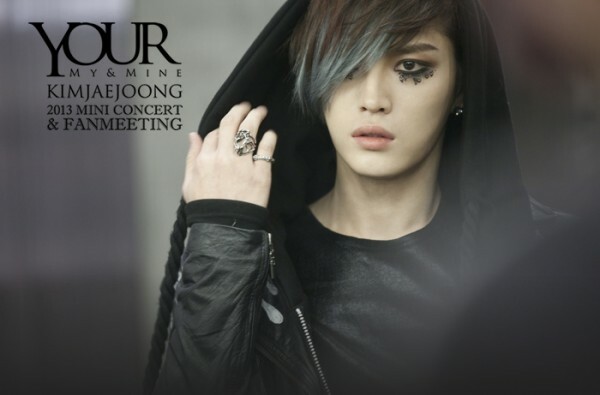 Showcasing a new side of Jaejoong’s charm, “Jackal is Coming” will be released in the Japanese cinemas on 3 May 2013. 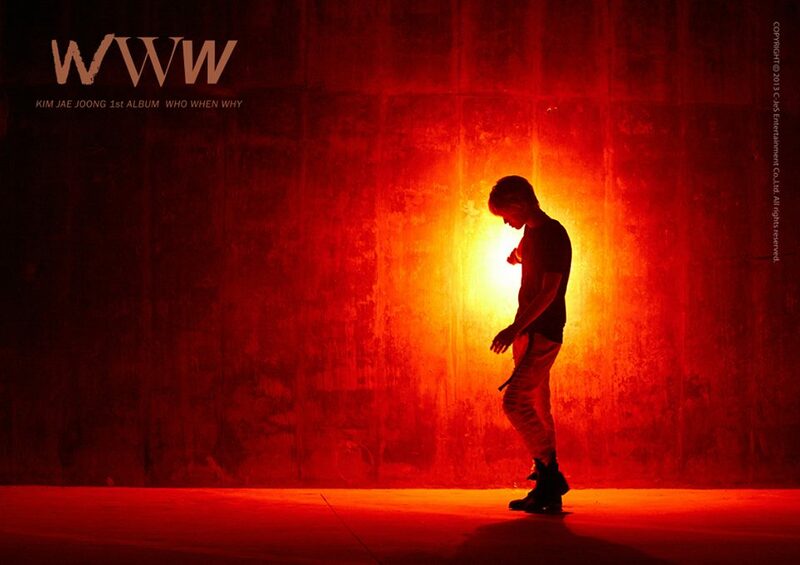 JYJ‘s Jaejoong has opened preorders for his first solo mini album, ‘Mine‘ today. He also revealed tehe above poster for his upcoming mini-concert/fanmeeting ‘Your, My, Mine‘. Jaejoong’s concert ‘Your, My and Mine‘ will be held on January 26th and 27th. In other news, Jaejoong will be pre-releasing a track titled “One Kiss” off his upcoming album, on January 8th! Kim Jaejoong will be releasing ‘ONE KISS’, one of the tracks of his first solo mini album, on the 8th. 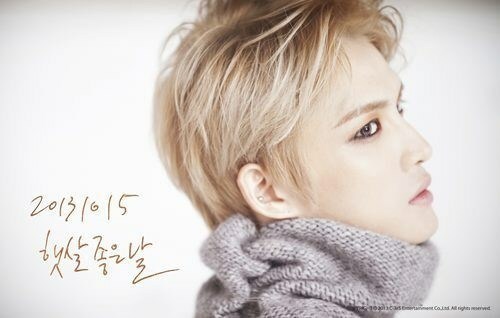 Kim Jaejoong’s first solo mini album will begin selling online and offline on the 7th of January. The album can be reserved offline at Kyobo Books and Synnara Records, and online on the websites of Kyobo Books, Synnara Records, Interpark, Yes24 and Aladdin. Reservations can be made till the 14th of January. Meanwhile, Kim Jaejoong is planning a special concert titled ‘Your. My and Mine’ on the 26th and 27th of January and ticketing will begin on the 7th of January on Interpark (www.interpark.com). 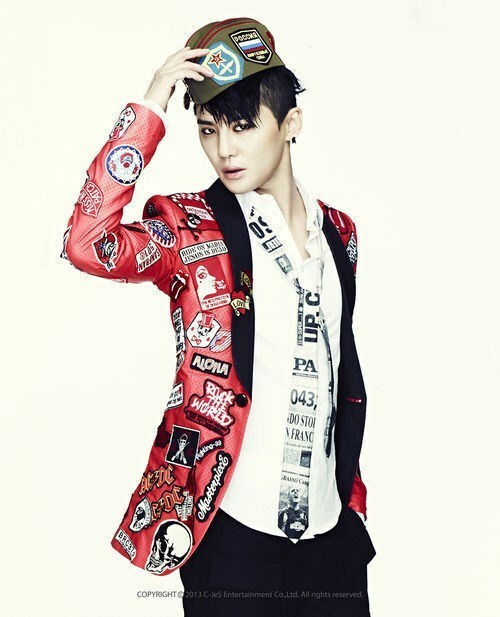 JYJ-member Kim Junsu has stepped up to help out Park Yoochun in ‘Rooftop Prince’. On the 3rd, SBS stated, “A ballad from Kim Junsu’s album, which will be released on the 15th, will be pre-released through the drama ‘Rooftop Prince’. This song, which will be released before the album, is a song by Composer Jeon Hae Sung, who also wrote the ‘Secret Garden’ OST ‘That Woman’. Kim Junsu’s latest drama OST ‘You are so Beautiful’ in the SBS drama ‘Scent of a Woman’ became a major hit, and he has been receiving positive reviews for representing the emotional and romantic drama perfectly. Also, Composer Jeon Hae Sung’s ‘That Woman’ was chosen as the Best OST of the Year last year at the ‘Asia Drama Awards’, and her and Kim Junsu’s duet has been receiving much attention. Kim Junsu’s ‘I Don’t Like Love’ is a standard slow, ethnic ballad and after the recording was done, Jeon Hae Sung highly praised Kim Junsu as she said, “As expected, Kim Junsu showed off skills befitting the nation’s best vocalist,” and his voice is expected to get the viewers more involved in the emotional love of Park Ha and Lee Gak.